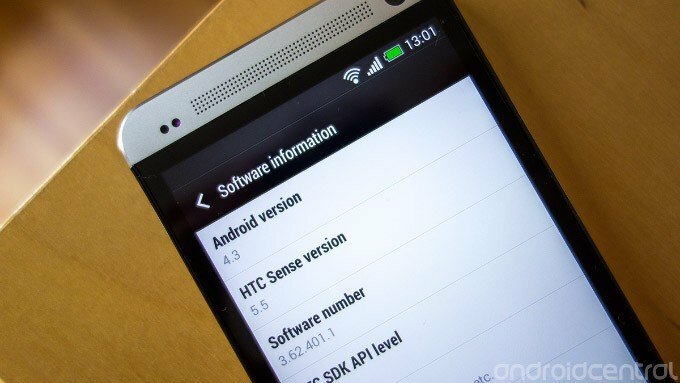 HTC UK has announced that HTC One devices in the UK should begin receiving their update to Android 4.3 and HTC Sense 5.5 from today. The update brings the HTC flagship up to software version 3.62.401.1, including updated video highlights and gallery app, new features in BlinkFeed (including the option to turn it off entirely) in addition to the newer version of Google's OS. The UK rollout follows a limited launch on some European devices a couple of weeks back. What's next? Well, HTC's already hard at work getting Android 4.4 KitKat updates ready. We've got the changelog for today's 4.3 update after the break.